Now in both paperback or e-book formats! Oxebridge announces the release of the Second Edition of Surviving ISO 9001, the irreverent, no-holds-barred,profanity-laced account of how the world’s flagship quality standard got made, what went wrong, and how to implement it anyway. 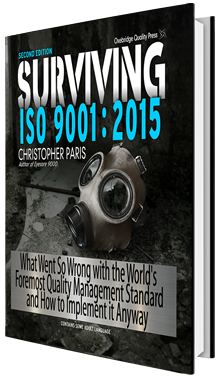 If you’re being forced by your customers to implement ISO 9001:2015, then this is the book for you. Proven advice from 30 years of practical experience, and all presented in the same snarky, hilarious way that made Chris Paris’ Eyesore 9000 a worldwide hit. Yes! I need this NOW! Oxebridge announces the ISO certification industry’s first independent whistleblower hotline. 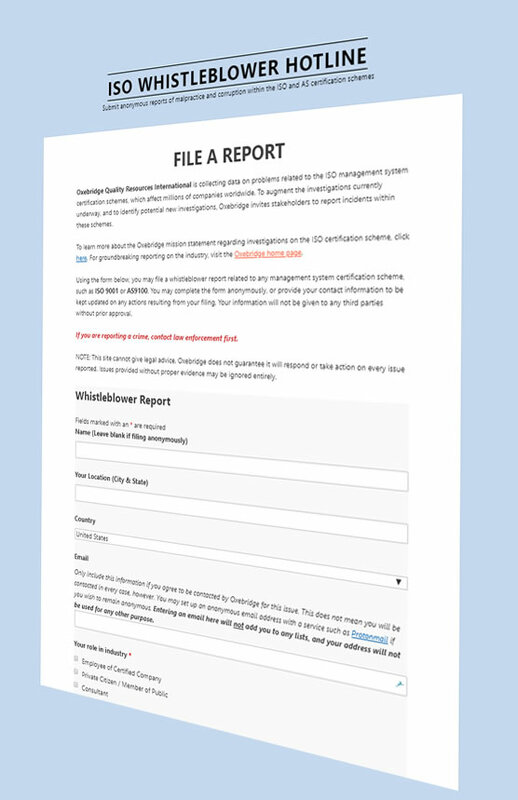 Using our secure online tool, you can now report problems and concerns within the ISO 9001, AS9100 or other management system certification scheme. Reports may be made anonymously if desired. Oxebridge can then take action on validated reports, while aggregating the data to provide industry feedback on conflicts of interest and corruption in the scheme. AS9100 Suspended? Oxebridge Can Help! If you’re company has found its AS9100 certification suspended, you may need help in getting it restored quickly, before customers disqualify you as a vendor. 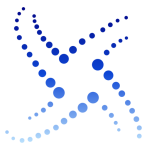 Oxebridge now offers low-cost AS9100 Restoration Services, to help respond to both valid and invalid AS9100 audit findings, craft OASIS replies and corrective action plans, and help implement them. Don’t wait. 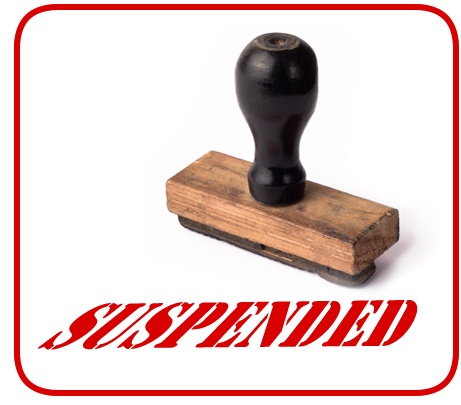 Contact Oxebridge as soon as you receive notification of your suspension, so we can help you get back on track quickly. This site utilizes cookies to ensure a responsive presentation of the information. Data is not gathered for any other use. Subscriptions to our mailing list are clearly identified as such, and all information from such forms is opt-in only. For more information visit our site policy page.